Marnel Lodge delivers nursing and residential care services as well as expert dementia care in one of Barchester's dedicated Memory Lane Communities. In addition, the home has the facilities to care for younger people with physical disabilities. Marnel Lodge is designed to give a home-like feel with carefully chosen interior decoration and furnishings, easily accessible, well-maintained gardens and first floor terraces, which offer terrific uninterrupted views of the surrounding countryside. Throughout the home there is a range of communal and dining facilities to suit people who enjoy socialising as well as those who prefer quieter activities. The Memory Lane Community at Marnel Lodge is specially designed for people living with dementia, using colour schemes that help residents to identify areas within the home. The community also features a life skills kitchen, where residents can be involved in everyday kitchen activities such as baking and setting the table. We are always happy to receive visitors or to be contacted if we might be able to help. Staff at Marnel Lodge are celebrating after our home performed strongly in Your Care Rating 2017/18, a nationwide survey of care home residents, families and friends. The results show we were given an overall score of 996 out of 1,000 by residents, and 868 by family and friends. You can read the report here. 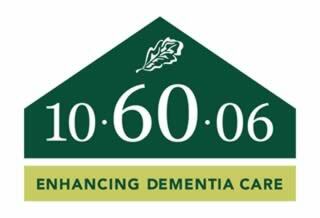 We are proud to be one of the first homes to be accredited as part of Barchester’s 10-60-06 Dementia Care programme, reflecting the enhanced quality of dementia care and improved quality of life experienced by residents here at Marnel Lodge. Hi, my name is Judith and I am the General Manager here at Marnel Lodge. Welcome to our website! I have been a nurse for over 20 years and have been here at Marnel Lodge since 2015. I want only the best and highest standards of care for residents and believe that team work is an important key in doing this. In June 2018, a case study of mine was published in the International Journal of Palliative Nursing, which you can read here. Jo oversees the day to day administration to ensure that everything runs smoothly at Marnel Lodge. Jo Loves to interact with the residents and the residents' families on a daily basis. I joined Marnel Lodge in 2011 as the Activities Coordinator. My focus is to ensure that residents can lead a satisfying and stimulating lifestyle. I will always endeavour to provide a varied and meaningful activities programme for those we support. I absolutely love my job and it’s an honour to work at Marnel Lodge. We have something for all the family to enjoy; Marnel is a happy and welcoming environment. Chris has been working for Barchester for 5 years now, and has been here at Marnel Lodge since it opened in 2011. Chris has just achieved his NVQ level 3 in food preparation and cookery. Chris is passionate about his job & particularly enjoys spending time with the residents here. Keith is the Head of Maintenance at Marnel Lodge, and is in charge of the safety and well-being of residents and visitors to the home. He ensures that the building is maintained to the highest possible standards. Hari and Julie have worked at Marnel Lodge since 2011. We have a large care team who are committed to delivering the highest standards of care to all our residents. As well as providing support to residents and families, they are involved in activities and trips out and are a lively bunch who love to laugh. Our Hairdressing & Chiropodist Team are always happy to help residents. Christine is our second chef at Marnel Lodge, and loves cooking classic dishes for residents at the home, including sweet and savoury desserts. Our Senior Carers are made up of Sarah Pyrah, Kerry Thomas, Lorraine Watts and Daniela Alexandru, all who are passionate about providing high quality care for those who live with us at Marnel Lodge. Always around to help, feel free to ask us any questions you may have and we'll all do our best to find the right solution.